Title page from Additions to the works of Alexander Pope. 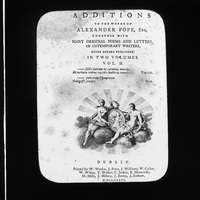 Lantern slide showing the title page from Additions to the Works of Alexander Pope. Originally catalogued with the label 'M2 94' and 'T.H. Mason, 5, Dame St, Dublin.' The book was published in 1776. 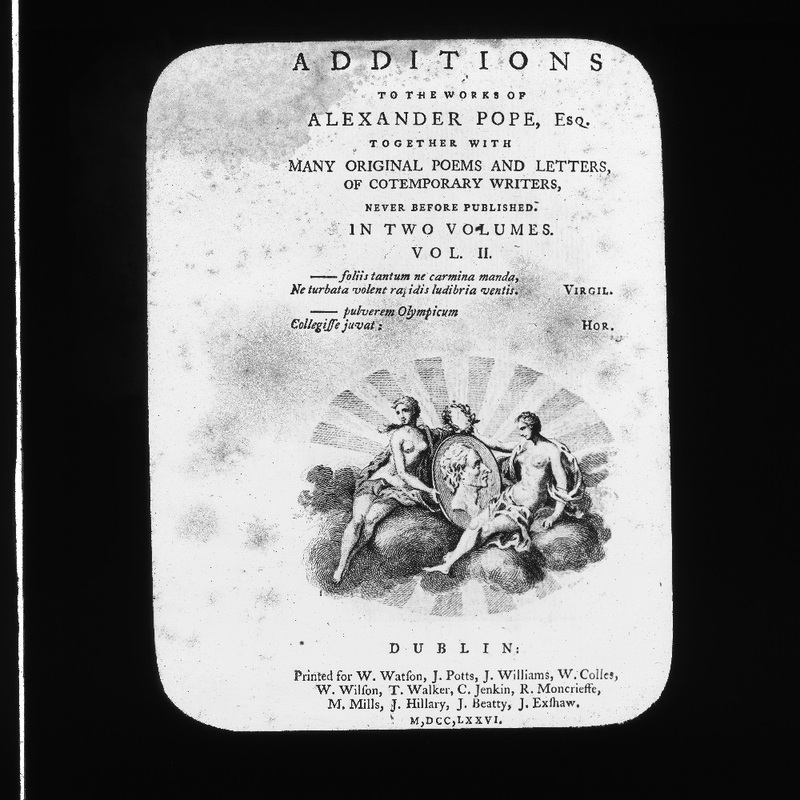 Laura Ryan, “Title page from Additions to the works of Alexander Pope.,” Royal Society of Antiquaries of Ireland, accessed April 23, 2019, http://rsai.locloudhosting.net/items/show/469873.